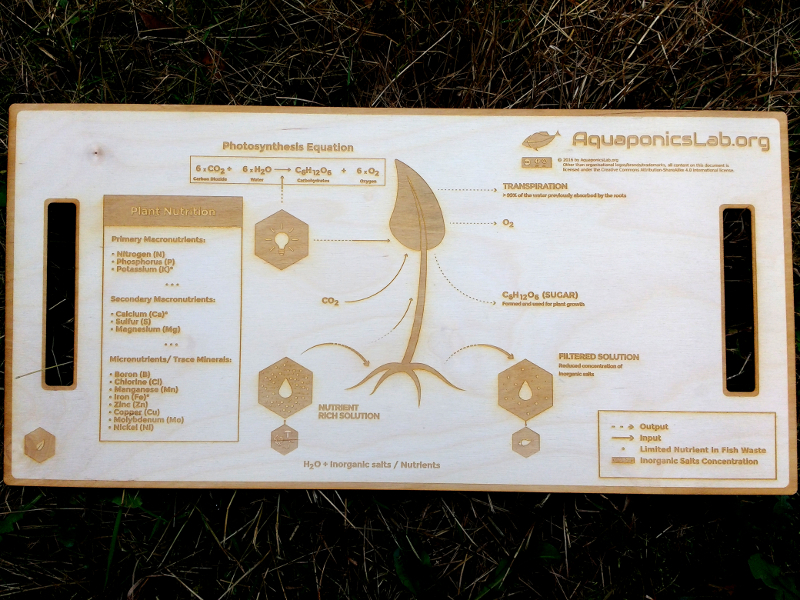 The function of plants in aquaponics is to filtrate the water from the by-products of the fish waste. 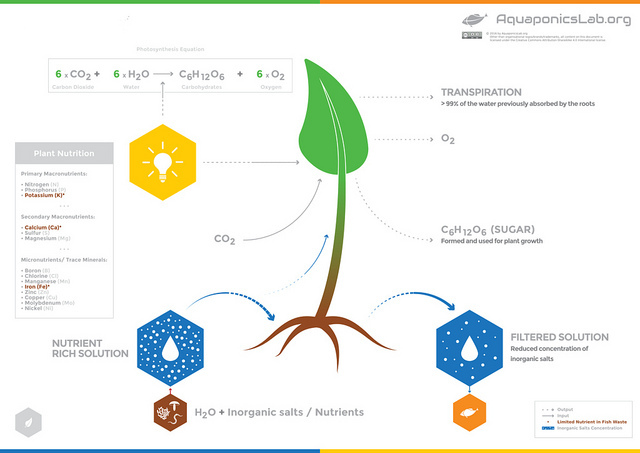 They not only absorb and prevent the accumulation of the well known nitrates, Nitrate (NO-3 ), but also uptake all the other micro and macro nutrients that are made available by bacterias, worms and fungi, breaking down the fish waste into simpler compounds plants’ roots can uptake. Some molecules can enhance the absorption and availability of nutrients [Iron (Fe) with EDTA chelates]. The most utilized elements are Carbon (C), Hydrogen (H) and Oxygen (O) which are obtained from the air or water. Besides them, other 17 essential nutrients should be supplied, and in Aquaponics they come from the fish waste or have to be supplemented. The constitution of the fish waste is a result of the fish feed, therefore it is good to note that a good quality food can reduce the overall need of extra supplementation and the contrary is also valid. The “Nutrient Chart” – in the infographic – lists this essential elements, when marked with an asterisk (*) the element generally requires regular supplementation, as the fish waste don’t contain it in the necessary quantities. Other compounds like magnesium and phosphorus may also need supplementation in some systems (e.g. fruiting plants or low quality fish food). 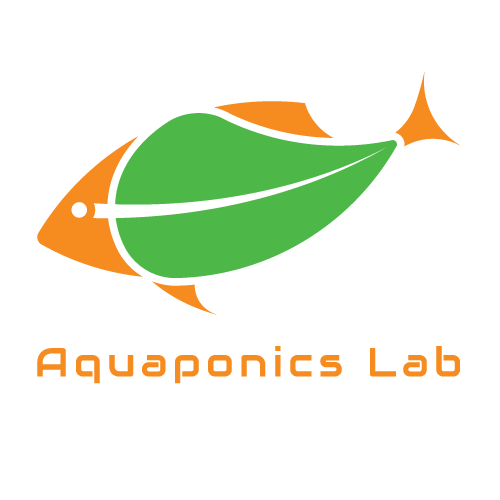 One of the aims in aquaponics is achieving a balance where the waste generated by the fish equate to nutrients absorbed by the plants.